Speed into an instant Hot Wheels™ collection with a race-ready pack that features five highly detailed die-cast vehicles. Hot Wheels™ 5-Car packs deliver five times the amped up action and are perfect for car enthusiasts of all ages. With a cool unifying theme, authentic details and eye-catching decos, these packs make a great gift for kids and collectors alike. Actual vehicles shipped may differ from those pictured. Kids can collect their favorites and trade with friends. Each 5-car pack is an instant collection! 1:64-scale with authentic styling and eye-catching decos. 5 Times the Hot Wheels® Fun! Hot Wheels® 5-Car packs deliver five times the amped up action! With a cool unifying theme, authentic details and eye-catching decos. 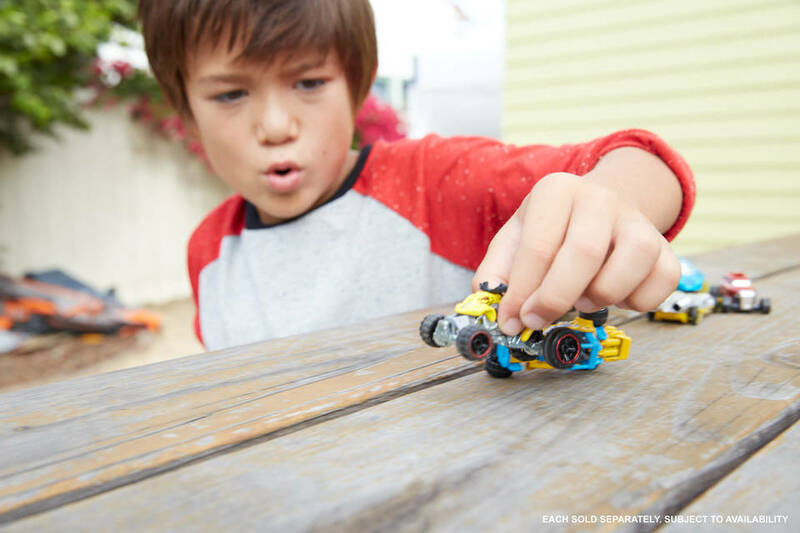 Speed into an instant Hot Wheels® collection with a race-ready pack of five highly detailed vehicles. 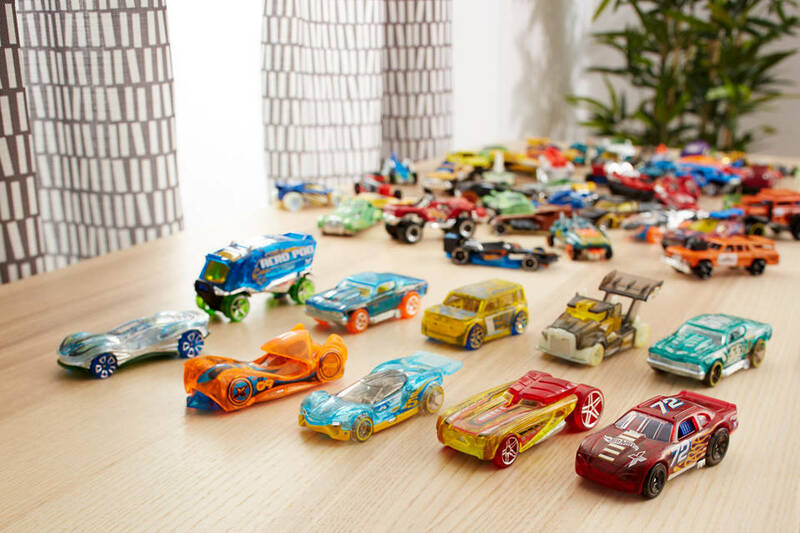 Since their debut in 1968, Hot Wheels® vehicles have been an enduring favorite of collectors, car enthusiasts and racing fans of all ages. Multiple themed options to collect and trade with friends! Choose from themes for X-Raycers™, Track Builder, HW Hot Trucks™, HW Exotics™, Nightburnerz™, Snow Stormers and more. Great Gift for Fans and Collectors of all Ages! 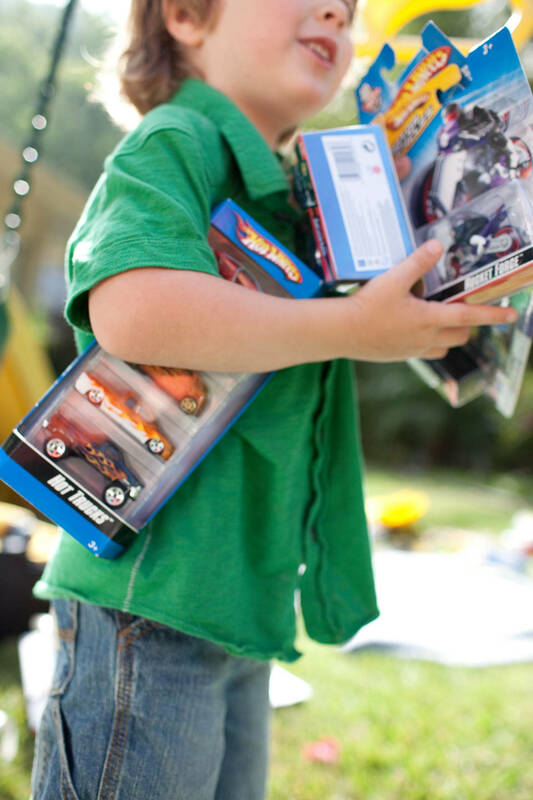 A great gift for kids and collectors of all ages, each Hot Wheels® 5-pack appeals to collectors, car enthusiasts and racing fans of all ages. Each vehicle is featured at 1:64 scale with realistic details and authentic decos. Each pack includes five Hot Wheels® vehicles. Classic, cool, relevant 1:64-scale vehicles with authentic styling and eye-catching decos. Best gift ever for kids and collectors!! Some 5-car packs include vehicles from the HW Basic Singles mini collections!